Itching to bring Alexa into the home in a more meaningful way? Then today's giveaway is the one you want. In partnership with ARM and Amazon, we're giving away eight Echo Dot smart home devices! The competition winner will be picked at random from all eligible entries that arrive by 22:00 GMT on the closing date, January 2, 2017. The winners will be notified via email by January 9, 2017. The winner must claim their prize within 7 days of the promoter sending notification. If the prize is unclaimed after this time, HEXUS reserves the right to offer the unclaimed prize to a substitute winner selected in accordance with these rules. 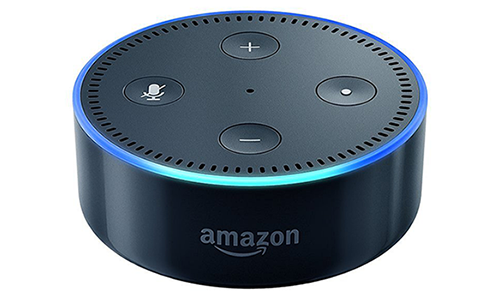 The prize is one of eight Amazon Echo Dot devices.